Justin and Jessica's New Baby: See the First Photo! Plus: Ariana Grande is single, Taylor Swift shakes it off at the ACMs and more viral news. Justin Timberlake Is a Proud Papa! Justin Timberlake and Jessica Biel not only recently confirmed the arrival of their first son, Silas Randall, but now the proud parents are showing him off for the first time. Justin posted a photo of their bundle of joy to Instagram and we're not sure if he's more excited about being a dad or that he has someone else to watch his favorite sports teams with. April 19 is a day that will be forever ingrained in fashion history. That is the day that the Lily Puliter capsule collection hit Target. And boy did people go absolutely insane for it. Orders crashed the Target website and shoppers invaded stores to pile up products in their carts as soon as the doors opened. Photos posted online show just how crazy people went for the floral-printed products. But if you missed out, don't fret. People are selling the products on eBay for a lot more money. Now there's a lesson in supply and demand for you. Taylor Swift Continues to "Shake It Off"
Taylor has turned another awards show into her own personal dance party. On Sunday night Taylor hit up the 2015 ACM Awards, where she danced the night away from the audience because she's Taylor Swift and she can basically do an-y-thing she wants. However the night also had a more poignoint twist as Swift was honored with the Milestone Award, awarded to her by her mom Andrea, who Taylor recently revealed is battling cancer. The star later went on social media and described it as "Casual Sunday night with the parents." We guess we have different definitions of casual. Always trying to take the line "I'm dancing on my own/I make the moves up as I go" to new levels. 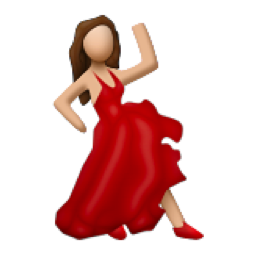 Well, at least she thinks she looked a bit like she was channeling the salsa dancing emoji when she appeared at the The Age of Adaline premiere in her eye-catching red dress. She shared that little insight on Instragram. "Workin Emoji Chic," she shared. "It's the new thing. Watch out Norm Core." It's nice to see that the fashionista has a sense of humor about her flawless style.